Submitting your manuscript to a publisher is scary. Will they like it? Will this be it? Will I finally be a published author? Many times authors find themselves submitting over and over again but never receiving anything more than a rejection letter. Before You Submit is a small series of things you should do before sending off your hard work to a publisher. It may save a lot of heartache. One critical thing to understand is that no to publishing companies or houses are the same. The editors, the people behind the submission reading, all go through the same thing. Submission after submission that did not follow their guidelines. Many editors and companies do not respond to those stories that they reject, which can be very hard to take. Others are kind enough to let you know that they will not be moving forward with your story. This at least lets you know you can move on and try another company. Many times authors do not realize that not adhering to publishers guidelines will result in automatic rejection. There are websites that make it great for authors to find publishers by compiling them in a list with some information about the publisher. Many times these websites include both the submissions email and the website. What does the publisher request? How many pages does the publisher request? First three chapters? 50 pages? Verify the acceptable list of genres by the publisher. Find the submission reader’s name. Address your email to them. If the author can’t follow directions when submitting, then why would I want to work with them any further? Submission guidelines are not there just to be ignored. Like us on Facebook and get a discount! 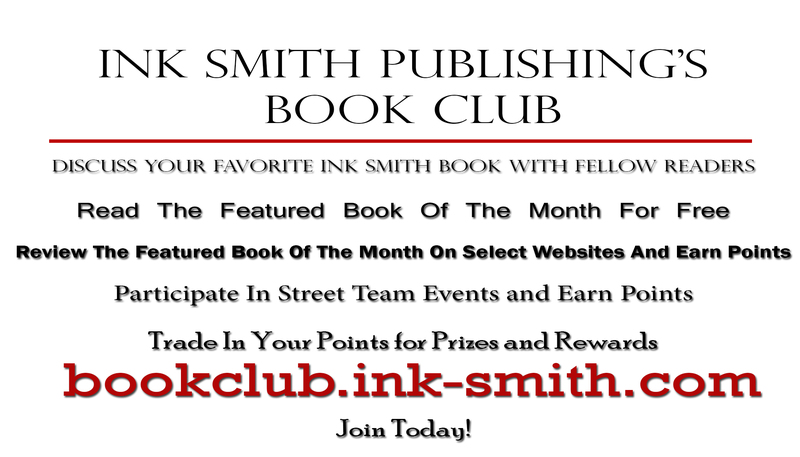 Like Ink Smith Publishing’s Facebook page and receive a 10% discount on our website! This is the beginning of the Ink Smith blog. Every week we will have a new featured article. It will vary from guest author interviews, book release information, or publishing news. As a publisher, we want to reach out to our readers and writers giving them both advice on the publishing industry and the latest book news.